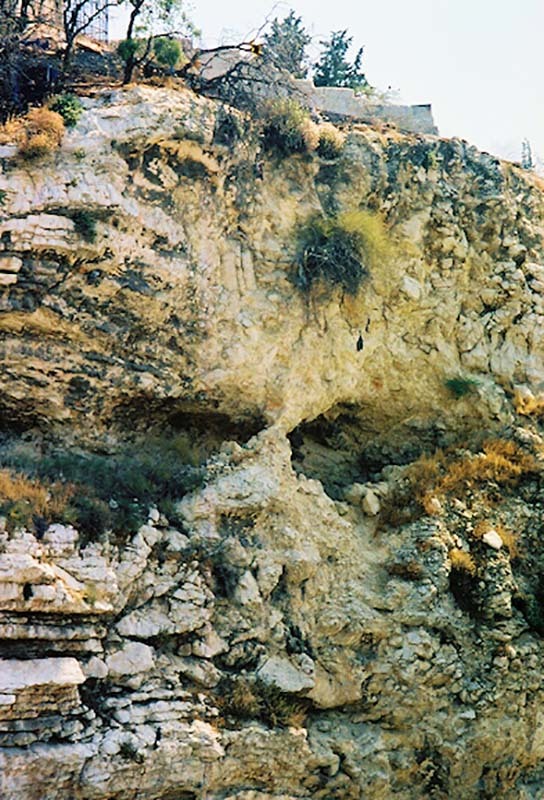 In 1867, a 2,000-year-old tomb was discovered near this cliff named Skull Hill. After Constantinople legalized Christianity, the Church of the Holy Sepulchre was erected to honor the crucifixion and burial of Jesus at the place Christians believed was where it had happened. But interesting parallels between the garden tomb at Skull Hill and the descriptions in the Bible make one wonder if this might be the true location. 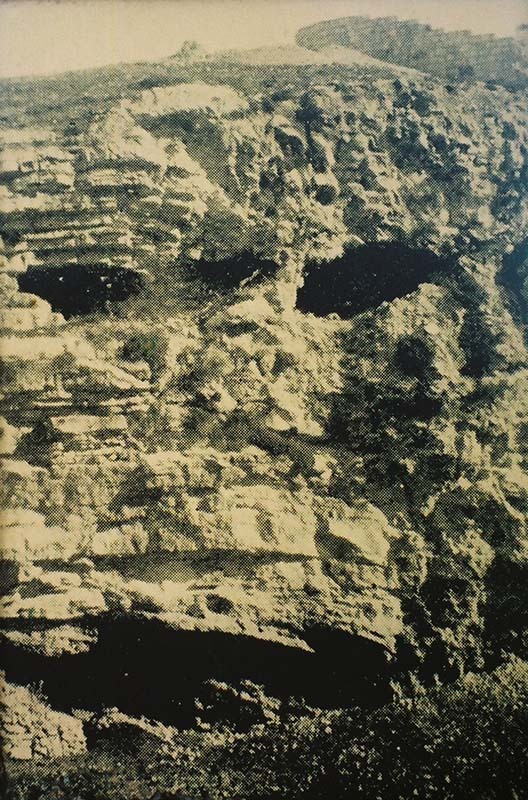 Erosion has changed the look of the face in the past 100 years. How much has changed in 2,000 years? Did it look more like a skull? Or less? 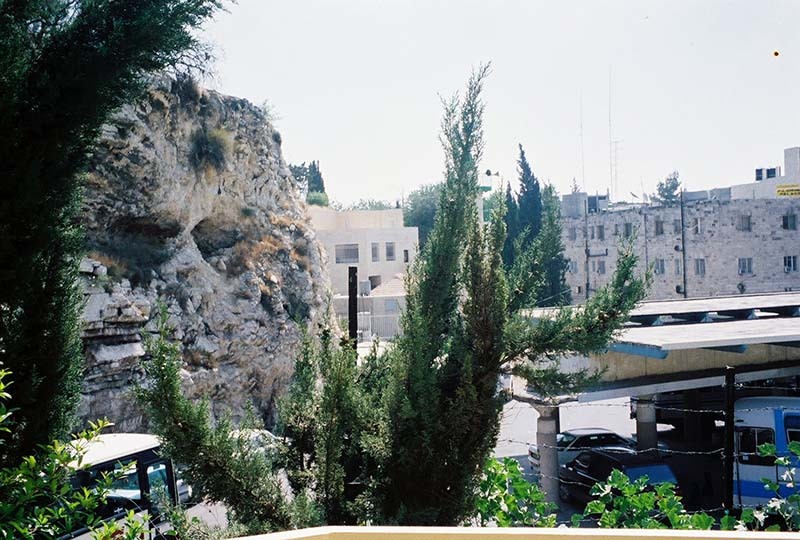 Skull Hill is located next to a bus station where, for millennia, two main roads have intersected just outside old Jerusalem. The Romans used this intersection for crucifixions, because the location guaranteed that more people would see the punishment and, hopefully, be deterred from committing the same crimes. For this reason, the Romans put signs on the crosses indicating what crime each person had committed.